Despite reports of a possible divorce, TeeBillz is a new wife, Tiwa Savage after she released her new single 'LovaLova'. Recall that TeeBillz was her manager before things went on between the two after they married. And just like the old days when he took it back to him again. 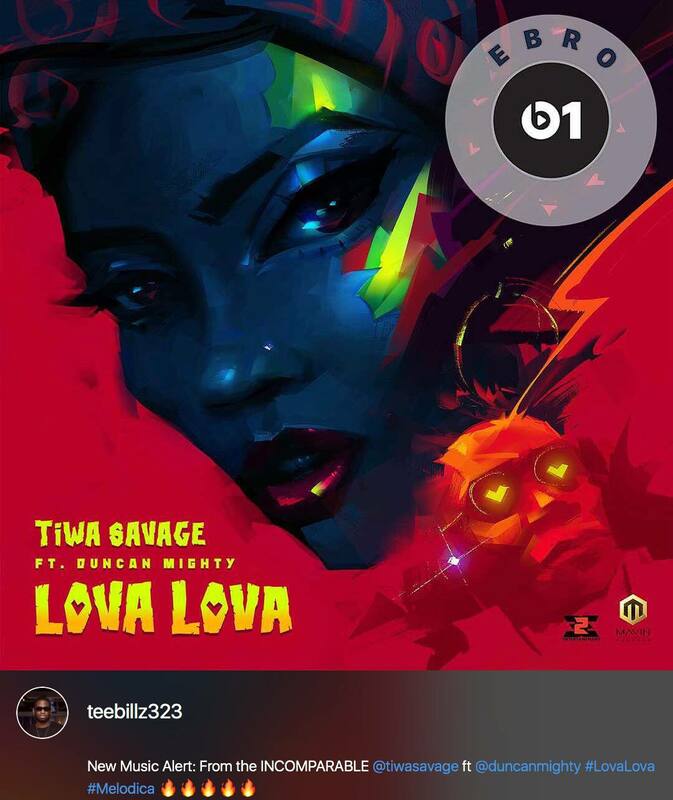 In an Instagram post, Teebillz wrote 'New Music from the Unrivaled Tiwa Savage featuring Duncan Mighty'. The move has left some people excited as fans of the two celebrities also applauded the move. Tiwa has made a comment saying 'Thank You'.